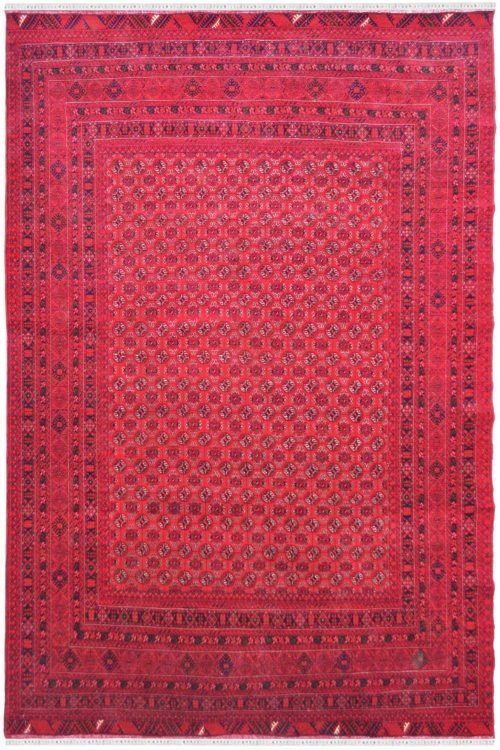 Silk rug is known for its soft touch and luxurious look. 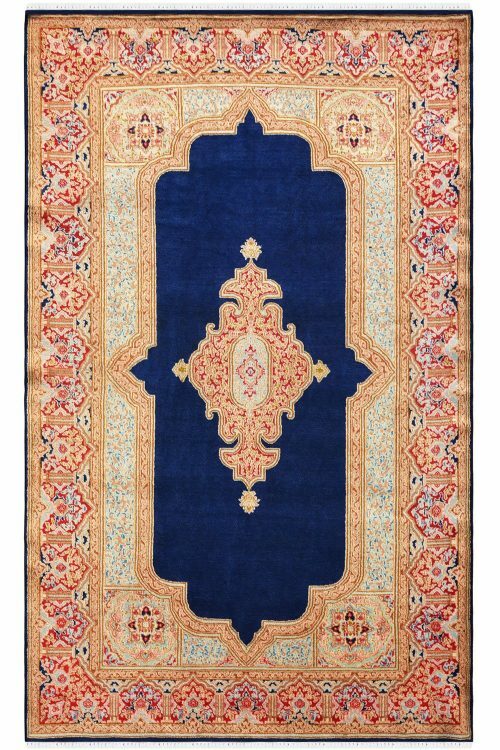 So give a rich look to your décor by placing this beautiful silk on a cotton handmade silk area rug. This is ideal for the low traffic area. This is a highly durable carpet. 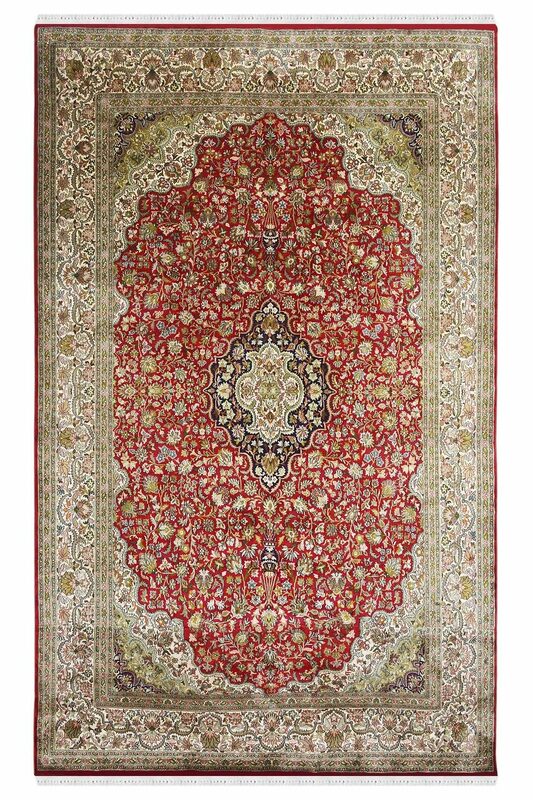 This is magnificently handknotted in pure Silk on silk material. 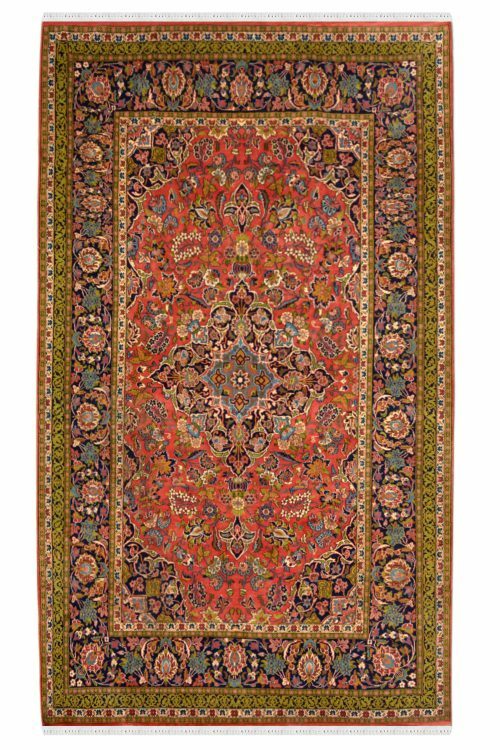 It contains kashan design pattern which is originated from Kashan City in Persia. It is a very old and traditional design pattern which is very popular. 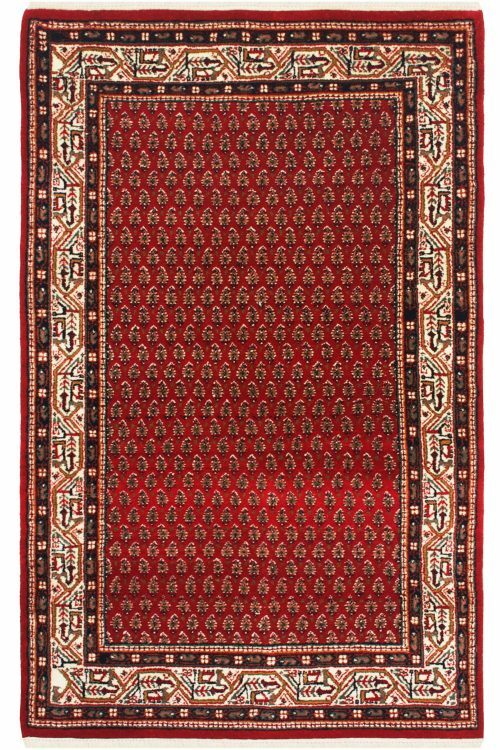 This is woven in multi-colors but the base of this carpet is in red. This is an indoor rug and ideal for less traffic area. It has taken about 6-7 months to weave.